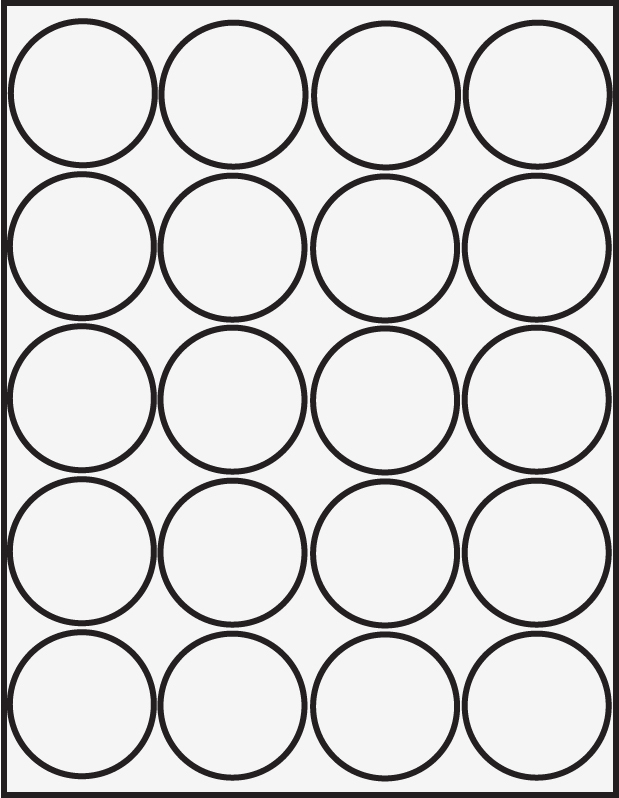 Self adhesive 2" circular adhesive labels. Standard adhesive, Twenty labels per 8 1/2" x 11" sheet. Recommended for use with laser printers. Compare these Professional Label brand labels to Avery™ labels.